Most of the cubus customers are using cubus EV Analytics for self-service analysis on top of OLAP databases. Enabling product know-how quickly and easily: this is our goal. Many cubus outperform users use only a fraction of the possibilities that the software offers. The functions can simplify and accelerate their daily work enormously. In this upcoming webinar series cubus would like to show you how to introduce a reporting and analysis application with cubus. We will show you tips and tricks for cubus outperform. Save time and effort. Cubus webinars are delivered in English. They run 20 minutes. Decision Systems works with cubus AG to provide webinars that offers insights into deployment – your company can experience improved analysis and reporting. Tell us about your application and we can help determine which webinar is appropriate for you. Summarize in the message box, what kind of performance management metrics are of interest to you, and how you may want to deploy cubus EV. Interested in a webinar? Fill out the form below and we’ll take care of it. Takeda has been using EV for many years in multiple business units in worldwide and new expanded in Asia Pacific. 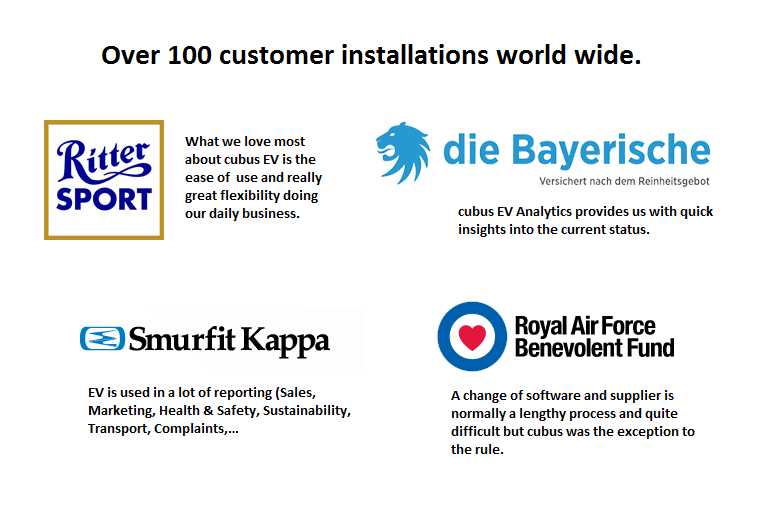 Currently 820 users are relying on cubus outperform EV Analytics for data analysis and reporting. We migrated to cubus in 2013 and are very happy. cubus has delivered as promised and we are looking forward to a long-term, mutually beneficial business relationship. I’ve been a cubus customer since the launch of the EV Analytics product, and we use it extensively at MasterCard. The ease of use of EV Analytics has been instrumental in making it one of the most highly used reporting tools in the company, used by Finance, Account Management, Sales and Product Management teams globally. We identify and deliver new insights by introducing technology-based solutions that provide results.